Joanna Jedrzejczyk on cancelled fight with Valentina Shevchenko: "I feel truly resentful"
Recently news broke that former UFC women’s strawweight champion Joanna Jedrzejczyk would be facing Valentina Shevchenko for the now vacant UFC women’s flyweight championship at UFC 231 on December 8 in Toronto ,Ontario, Canada. Unfortunately for Jedrzejczyk, that match was cancelled not too long after it was announced as Shevchenko was pulled from the bout, and decided to take a UFC 230 main event title fight with Sijara Eubanks. While we should not be shocked of Jedrzejczyk’s disappointment from how things have turned out, it is surprising she had to be notified of her title fight’s scrapping through the MMA media rather than from the UFC officials themselves which has made her even more distraught about the situation than she already would have been. Yesterday morning, the former UFC women’s strawweight champion posted a lengthy, heartfelt statement via her Instagram, expressing her frustrations on this entire situation. Me pulling out of fight? Never! Here is the truth. Yesterday I was informed that my fight had been cancelled. Unfortunately, I received this news from journalists, I was very shocked. I feel angry and sad. The already signed contract on the 8th of December was ignored. They were trying to persuade me into taking the fight in November, at the same time depriving me of a chance to properly prepare for the fight during the camp. Valentina is a challenging opponent, and my goal was (and actually still is) to prepare for this fight as best I can, and to eventually become the UFC flyweight champion. I treat every opponent and fight serious and with respect. I could fight in NY if I was interested only in money. Due to respect for other fighters and myself, I rejected the offer made by the UFC to change the date of the fight, as my main goal is to be at my best form during the fight, and in order to do that, I have to do my job from start to finish. For 15 years I’ve been focused only on development, sportsmanship at the highest level and achieving my dreams. Of course, martial arts are my job, but most of all, they are my passion, hobby, and they fill my life and run in my blood. As a professional and a person who treats her life and work obligations serious, I feel truly resentful about the [breaking] of the fight agreement. My feelings are even more intensified when I think of the obligations I had to resign from, as they would have happened in the time of my camp. I always plan everything long before a fight announcement. Once I sign the contract, there is nothing more important than fight preparations. I always try to put myself in somebody else’s situation, be it a life or business one. Thus, I understand the quick decision made by the UFC key people to save the event in NYC. Everything happens for a reason. Sooner or later i’ll become the champ in two weight classes. – Joanna Jedrzejczyk on Instagram. 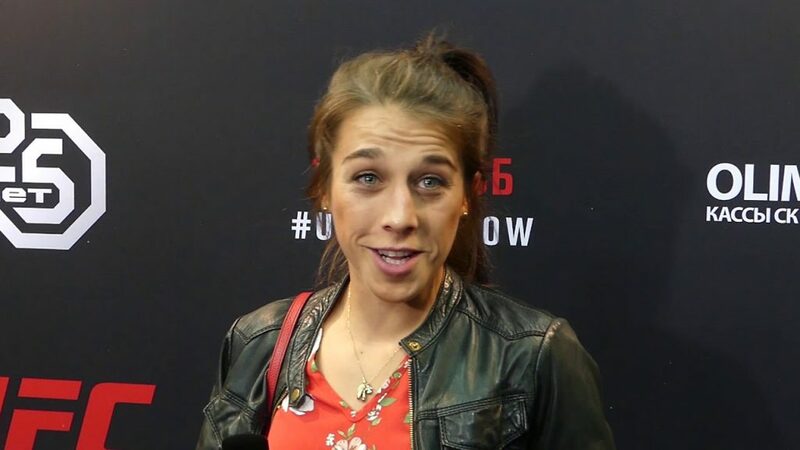 Where do you believe the future lies for Joanna Jedrzejczyk following this unexpected dilemma?